With its quaint, neighborly, small-town vibe, La Mesa is an ideal setting for holiday celebrations and events. This year, in and around the Village, holiday celebrations are both abundant and varied. 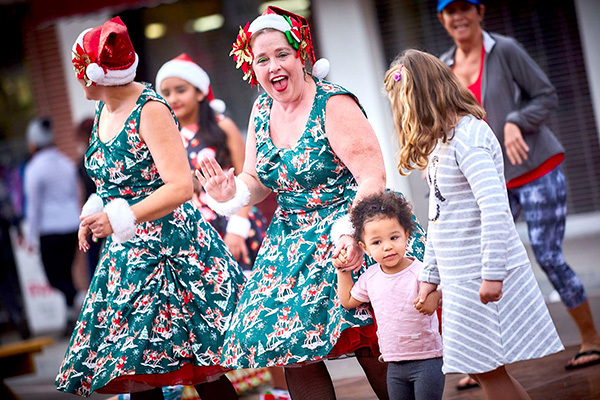 The following are a few of the best family-friendly events to bring the Yuletide cheer. The city of La Mesa lights up the downtown Village every year at the annual Shimmer. The always-free event features a ceremonial flip of the switch that lights up the city Christmas tree in Legacy Park as well as lights strung along La Mesa Boulevard. bar and extended hours for businesses in the Village, which will be open late to accommodate after-work gift shoppers. This year’s Shimmer will be held on Thursday, Nov. 29 at 5 p.m., with the lighting ceremony beginning at 5:30 p.m. For more information, visit the city’s events and activities page at bit.ly/2FBmnbU. Now in its third year, La Mesa Holiday in the Village is quickly becoming a major event that attracts thousands of locals and visitors alike. 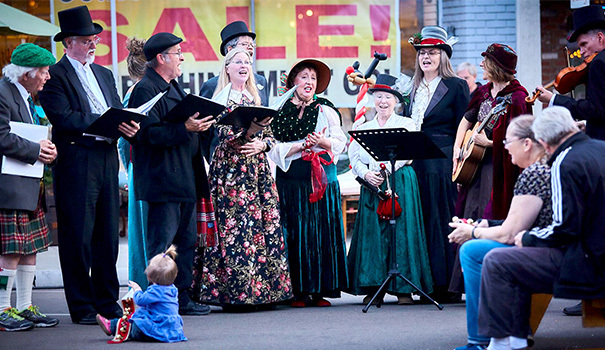 The free event put on by La Mesa Village Association and produced by McFarlane Promotions features expansive live music, from traditional holiday carols to local bands performing on multiple stages throughout the blocked-off downtown streets. Holiday shoppers can purchase gifts from artisan vendors selling everything from quilts and hand-blown glass to jewelry and gemstones, and more. 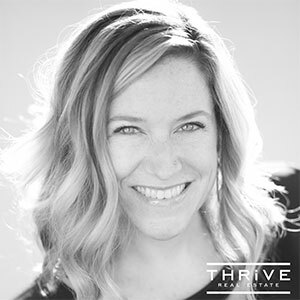 There will also be a variety of food trucks and lounge areas to grub down next to cozy outdoor fireplaces. 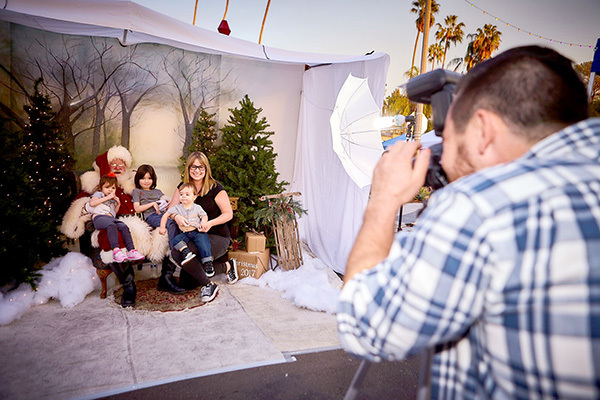 For the kids, there is an opportunity to take pictures with Santa as well as an expansive activity zone featuring holiday movies, crafts tables, games and more. Holiday in the Village runs Friday, Dec. 7, 4-7 p.m. and Saturday, Dec. 8, 10 a.m.-9 p.m. For more information, visit lamesavillageassociation.org. Holidays mean gifts, and gifts mean shopping, so it makes perfect sense that the shopping mall would play host to fun, seasonal events. And Grossmont Center has quite a few planned throughout the end of November into December. On Friday, Nov. 23, the mall will hold its Light Up the Holidays event to kick-off the season with a tree-lighting ceremony at 5 p.m. For holiday shoppers, students from Helix Charter High School and Grossmont High School will offer gift wrapping services for a donation to fund their after-school programs. Live music will be provided by The Catillacs from 4 to 6 p.m. Starting Friday, Nov. 24 and ending Sunday Dec. 24, Grossmont Center will open Santa’s Hut for pictures with Ol’ Saint Nick. Hours are 11 a.m.-7 p.m. Mondays through Fridays; 10 a.m.-7 p.m. Saturdays; and 11 a.m.-6 p.m. Sundays except Christmas Eve, which will be 10 a.m.-6 p.m. Photo packages run $30-$45. For more detailed pricing information or to book an appointment, visit bit.ly/2BerSdx. Throughout December, Grossmont Center is holding a Giggles the Elf Holiday Hunt, where kids follow clues to find one of Santa’s helpers and be entered to win prizes. Pick up the list of clues at Guest Services and look for his hats to see what stores he is hiding in. Find Giggles and his friends in six stores to win a prize. Find him in 12 stores and be entered to win the grand prize. On Dec. 8, San Diego Animal Support Foundation (SDASF) will team up with Grossmont Center to host dozens of rescue groups and shelters bringing hundreds of adoptable dogs and some cats for its annual Santa Paws event. All types of breeds will be represented by reputable rescue organizations making this a perfect location to find a new best friend for this holiday and many more to come. 11 a.m.-3 p.m. in the mall. For more information, contact SDASF at sdsheters.org or 619-847-8755. On Dec. 9, 15 and 16, noon-3 p.m., Grossmont will be holding its HolidayFest events featuring costumed characters like Frosty the Snowman, a gingerbread bounce house, face painters, craft activities and more. Grossmont Center is located at 5500 Grossmont Center Drive. For more information about events, visit grossmontcenter.com. “An Old-Fashioned Christmas” runs Nov. 30 through Dec. 15 on Fridays and Saturdays at 8 p.m. and Sundays at 2 p.m. at Lamplighters Community Theatre, 5915 Severin Drive, La Mesa. Tickets are $10-$15, available at lamplighterslamesa.com. For a show the whole family will enjoy, Reading Cinemas in La Mesa is showing the new “Dr. Seuss’ The Grinch,” an updated remake of the classic illustrated story about a green creature who hates Christmas and the Whos of Whoville, who revel in holiday cheer. This new take on the classic story is narrated by Pharrell Williams and stars Benedict Cumberbatch as the voice of the mean one himself, Mr. Grinch. Visit bit.ly/2BhvrzH for show times and to purchase tickets.